Since September of 2013, Elvin Penner, the United Democratic Party (UDP) elected representative for Cayo North East, has been in the middle of a major nationality and immigration scandal. 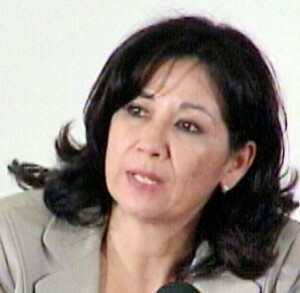 Penner was pointed out as the main person who facilitated a passport for South Korean criminal, Kim Won Hong, who had been in prison in Taipei, Taiwan and had never visited Belize. Since then, the Auditor General’s (AG) office carried out an investigation and a preliminary report has been leaked to the media. The AG’s preliminary report indicates that several senior government agencies and employees have refused to cooperate in the investigation. 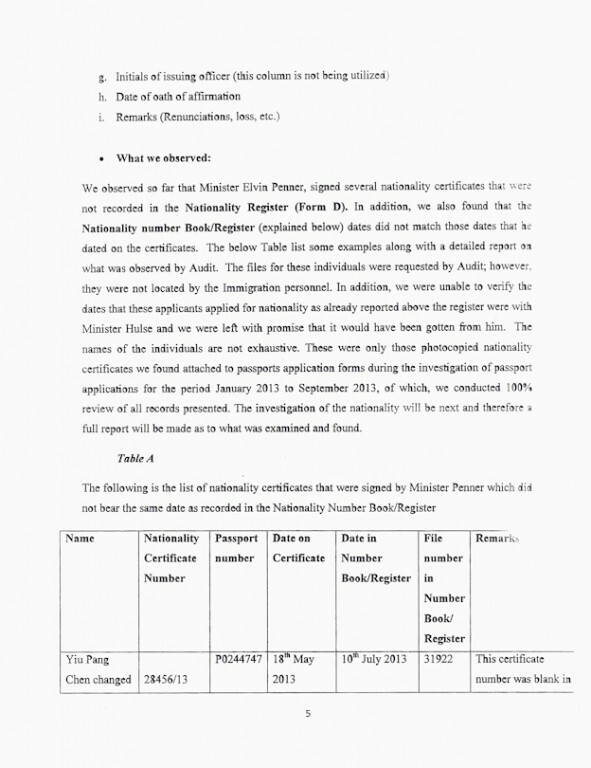 Despite the lack of cooperation and the challenges to access said records, from the bits and pieces of records handed to them, the AG’s report cites that constant and irregular nationality certificates were signed by Minister Penner. “We observed so far that Minister Elvin Penner, signed several nationality certificates that were not recorded in the Nationality Register. 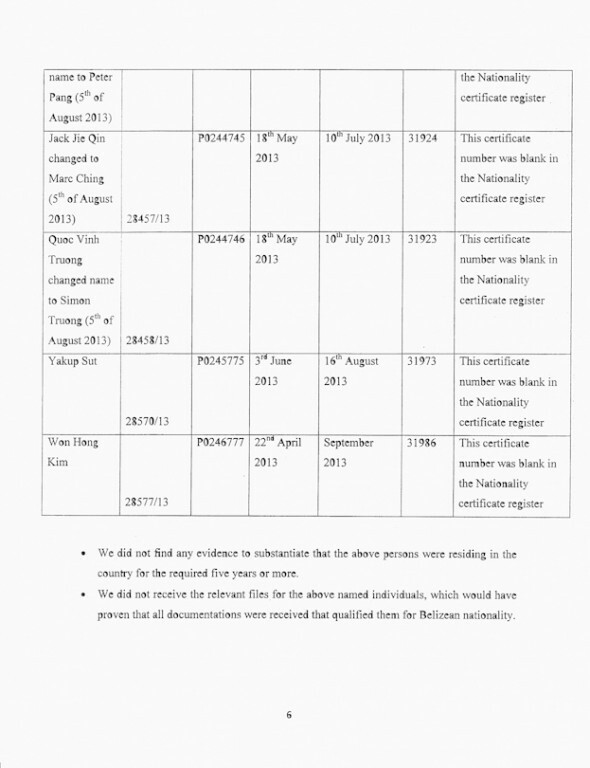 In addition, we also found that the Nationality Number Book/Register dates did not match those dates that he dated on the certificate,” explained the report on page five. 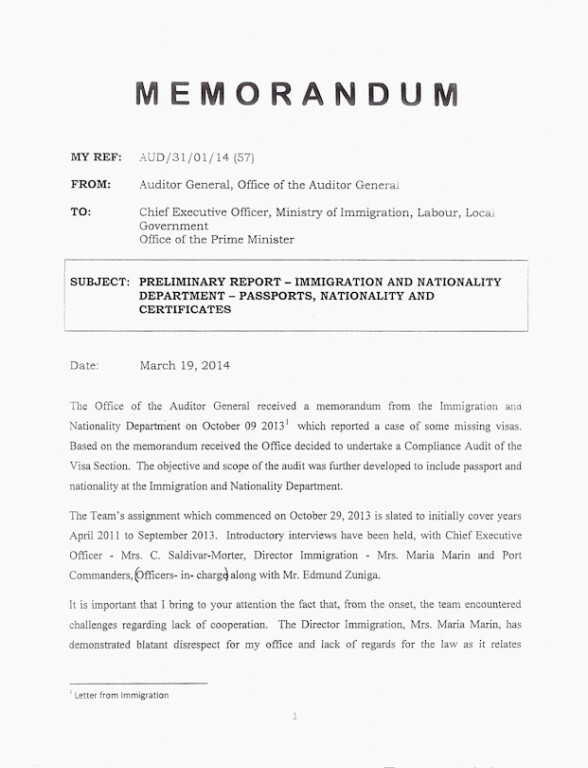 The AG’s report provided snapshots of some of the people whoPenner granted nationality to, (including passports)that did not meet the minimal requirement. The report went on to explain in detail, how each of the application documentations was pushed through the entire process, starting with junior clerks and senior management staff and ending with the final signature of Minister Penner. Throughout the entire process, gross irregularities were observed and the applications could have been revoked if the proper process was followed. From the list of five that the AG report pointed out, all five applicants received fraudulent Belizean documents without ever setting foot on Belizean soil; yet they received sworn statements from Belizeans, including Justices of the Peace, who stated that they knew the applicants. The report states that when the AG’s office discussed those irregularities with Gordon Wade, the head of the nationality section, Wade replied. "Thisis a practice of all ministers to bring in [incomplete] applications for individuals." Wade’s statement was further reaffirmed when he was quoted in the report as saying, "All ministers would do this and return with the documentation most of the time. "The reports adds, "according to him [Wade], it was not out of the norm for any minister to bring in incomplete applications and these would go through on the strength of their promise to bring in the missing documents." But the reports also said that Wade indicated that the illegal practice is still happening at the Immigration and Nationality Department even after the Penner scandal broke out. "He [Wade] informed us that ministers are still bringing in applications even after what happened in September 2013," states the AG’s initial report. The AG’s report makes it absolutely clear that under Chapter 164 of the Laws of Belize, it is a “prosecutable offence” to make “false representation with respect to information requested and provided” on any nationality or passport application. Those “false representations” include that of the recommenders and the Justices of the Peace who swore to know the applicant, and whose signatures appeared on the fraudulent applications. The AG’s report was sent to Prime Minister Dean Barrow on March 19th. Since then, the Barrow administration has not spoken on the subject and has not disclosed the entire findings of the reports. Such a report, by law, should be tabled before the National Assembly, but there has been no indication if it will be tabled. 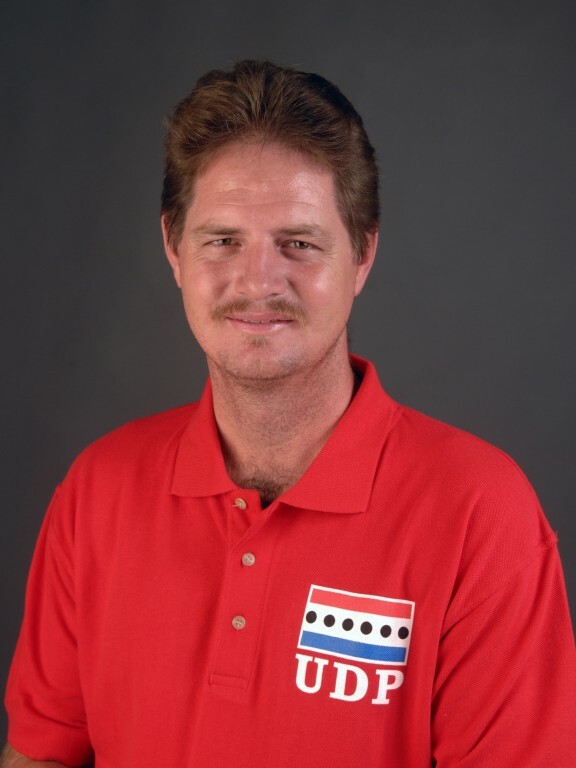 Will Compol Allen Whylie charge Penner before statute of limitation kicks in?